As I’ve mentioned in one of my previous posts, I’m having a meet and greet in Cebu!!! Finally! This is brought to you by our lovely friends over at Islands Souvenirs for their Sinulog 2014 campaign. If you remember, I had my first experience of Cebu’s famous festival last year wearing no less than an Islands Souvenirs’ Sinulog shirt, so it feels great to be celebrating it again this year as an official ambassador for the brand, together with my blogger besties. Unfortunately though, I’ll be missing out on some pre-Sinulog events like the Islands Souvenirs fashion show and media launch because of my scheduled trip to Switzerland. 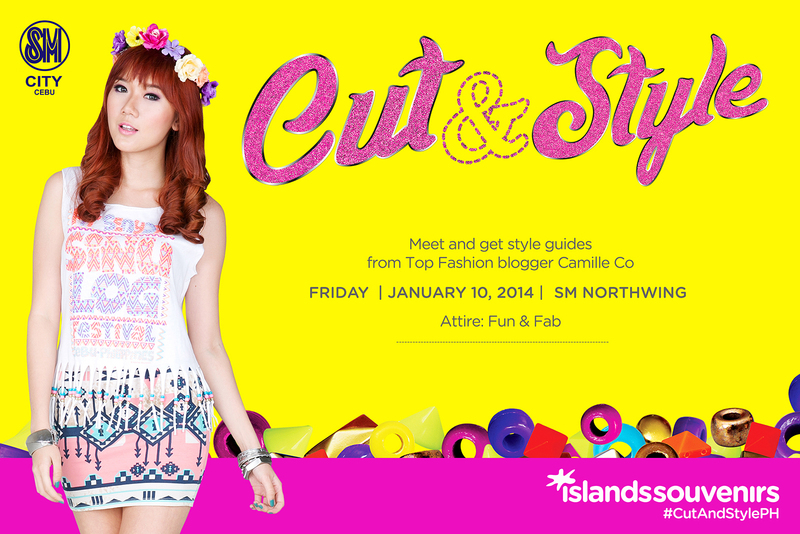 To make up for it, Islands Souvenirs arranged a a special by invitation-only cut & style event plus a meet and greet with Kryz and I at SM City Cebu’s North Wing this Friday from 3-4:30 PM. Yay! 2. Like Islands Souvenirs on Facebook and follow @IslandsSouvenir on Twitter. 3. Leave a comment below with your full name and Twitter handle. 4. Tweet this in Cebuano: “I want to meet you this January 10 at SM City Cebu with @IslandsSouvenirs ! #ItsCamilleCoGiveaways” No need to tag my Twitter handle. Deadline for entries is on January 9 at 4 PM. No multiple entries please. I’ll announce the winners on the same day so please check the comments section below. Good luck, everyone! If you don’t win a VIP pass, do not fret! There is still a chance for you to join this exclusive event. The first 50 customers who will line up at the North Wing and are able to present an Islands Souvenirs receipt worth Php 1,000 (January 6 – 10, 2014 receipts only) can get a VIP pass. One pass per receipt. See you there! I hope I see a lot of my gwapa Cebuana readers. 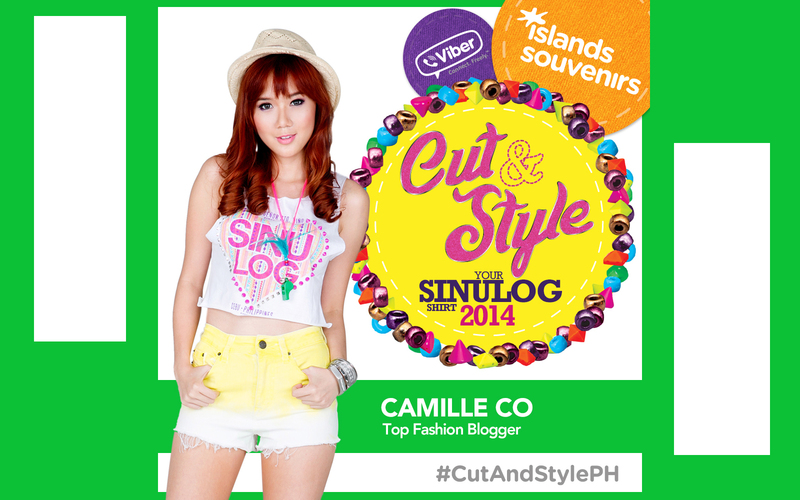 Let’s cut and style our Sinulog shirts together! cams pano ba mg delete ng comments dito? cams ung post ko na may full name ko=) angel:January 10, 2014 thanks in advance. I saw the photos! Thank you for coming! :) The guy in the backwards cap! :) Maybe when I visit Cebu for Sinulog! miss cams!!!! i finally met you!!!! anyway, i prepared something for you but i left it in my house because i rushed >.< is there any way i could give it to you? Awesome for ppl in Cebu to see ya there, Camille! You’re on the list at the registration table! :) See you! Yay!! First time winning a giveaway xD But how does it work po? Do we just go backstage and present an id? My insta’s @bgie92 pala if you’re curious :) i hope to i see you nxt time again. camille bakit wala pa rin announcement regarding the recipients of vip passes? i forgot to post my name and twitter handle..may i?malay mo, you’ll pick me ;) sorry but im kaye hazel lequigan and my twitter is @haiku0599..thank you..
Camille, I wish I will get a chance to see you. Even at the Sinulog Festival :) PIT SENYOR! I hope I learn to Cut and Style my Sinulog shirt so my first Sinulog with my friends would fun and fab! Meeting you would be the highlight of my 2014. @beacybrittany Really want to see you tomorrow! I will give up everything on my schedule just to meet you and greet you in person. Sumali ka na ba? :) Join! My work ends at 4pm – but hoping to win and see u even late na. Hello Camile! Im from Cebu and I just hope I can meet you personally. wow, i wish i’m cebu on that day too! It’s a friday and I have work till 6:00. Huhuhu. :'( I hope I bump into you though. In the streets perhaps of the Sinulog proper? Or in one of the restaurants? Krista Marie M. Mendez @kriii27 :)))) maytag magkita intawn ta. waaaaH!!!!!! Can I cry now?!!! I’ll be out at work at exactly 4PM, it will take me like 15-20mins to get to SM Cebu. I don’t think I can make it in time!!! :( I really hope I can see you and Kryz in flesh. It will mean the whole world to me!